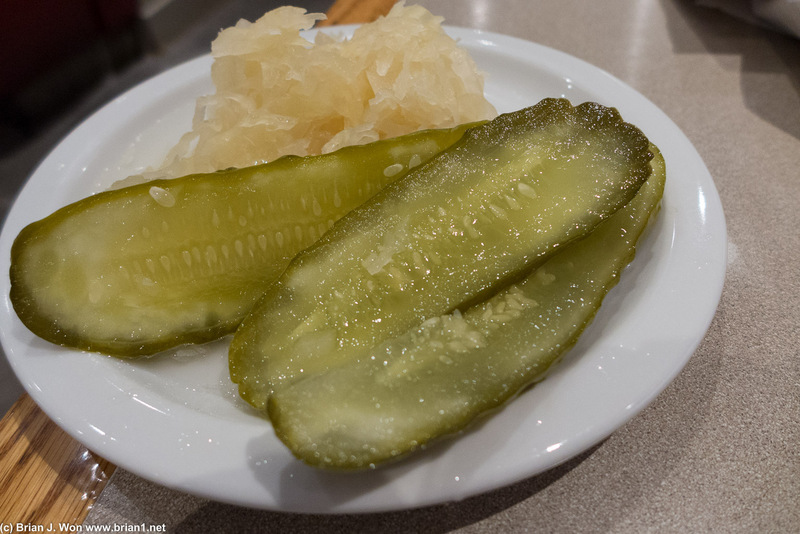 Pickles were pretty decent. Sauerkraut was forgettable. Potato salad was very mustardy. 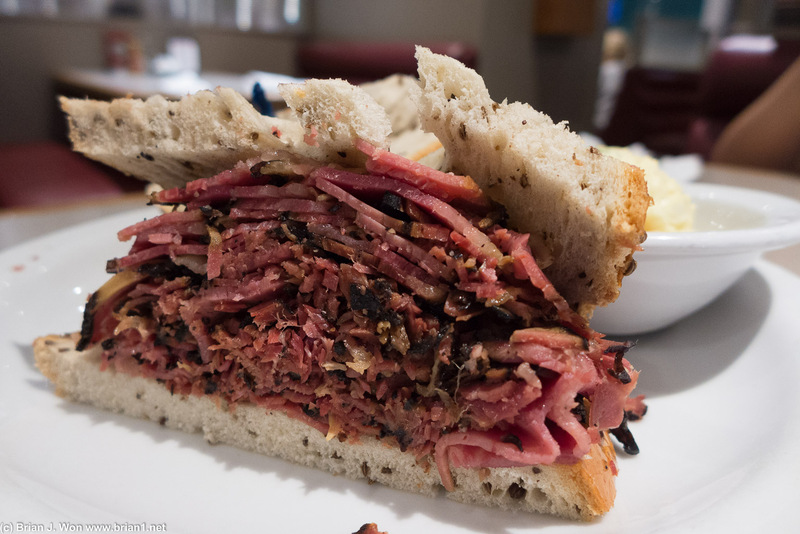 Rye was okay, pastrami was meh-- lots of small bits fell out as we ate. Cheap cut? Note TVs everywhere. Given how so-so the food is, the TV&apos;s are clearly the main reason. 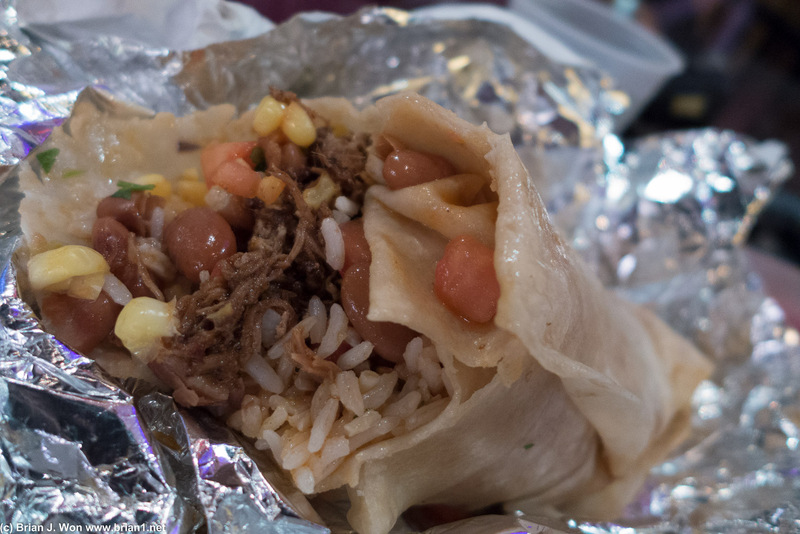 Shredded pork was okay, the pinto beans and rice weren&apos;t nearly hot enough... disappointing. 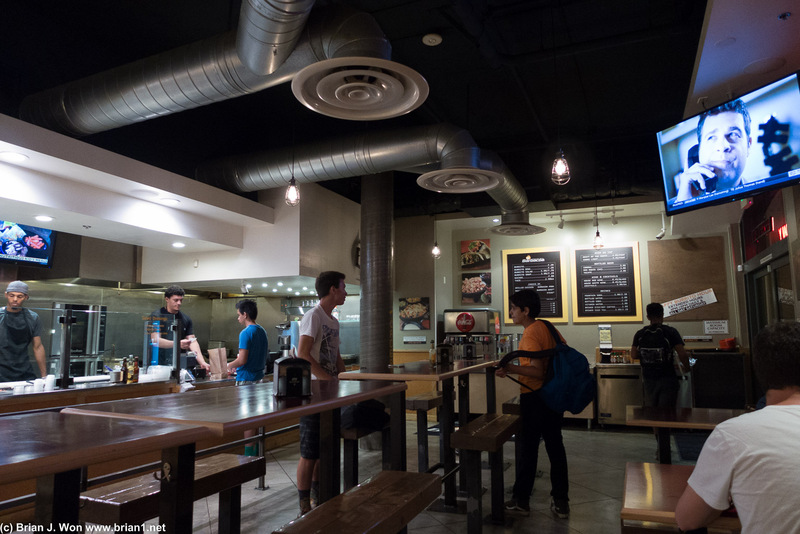 Trendy outside, so-so food inside. Some hidelously boring fooding. 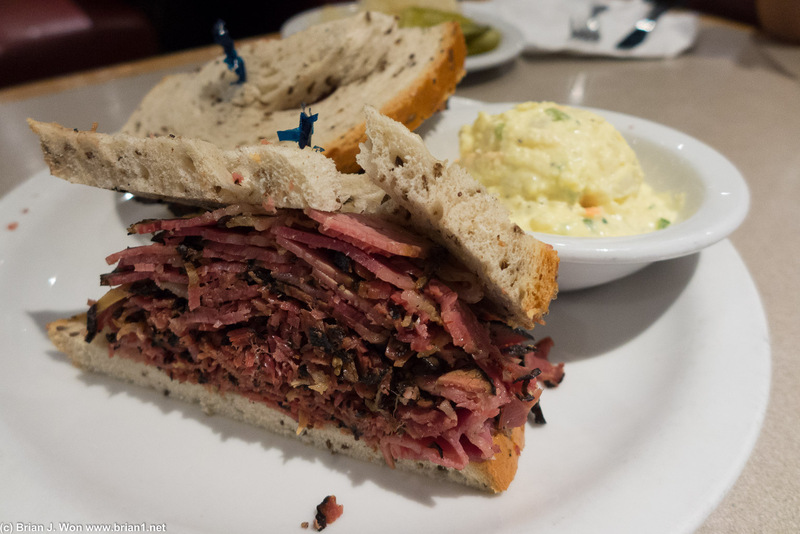 Lenny's Deli is the old Junior's Deli, with a new owner and a fresh coat of paint, but with more or less the same mediocre food and absolutely terrible dessert. Add in uneven service, tending to lousy, and it's not a good experience. Not pictures is the desserts, which tasted like they'd been left out all day (or two) in the display case-- dry and gross, not fresh at all. 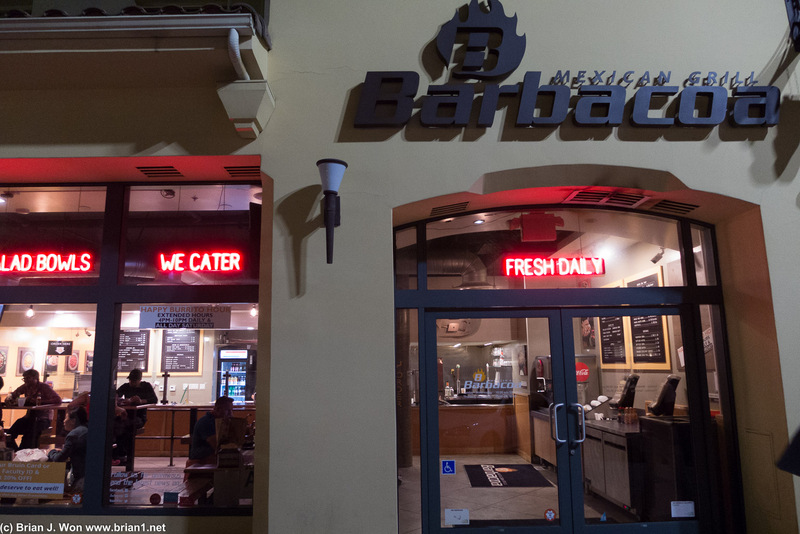 Barbacoa Mexican Grill is an up-and-coming Chipotle competitor, with some hooks like happy hour (slightly cheaper burritos) and big TV's, plus some different seasonings on their proteins. Sadly the food is pretty so-so-- the meats are nothing special and neither the rice nor the beans were served hot enough. They didn't drain the beans well enough before serving, either, making quite a mess. 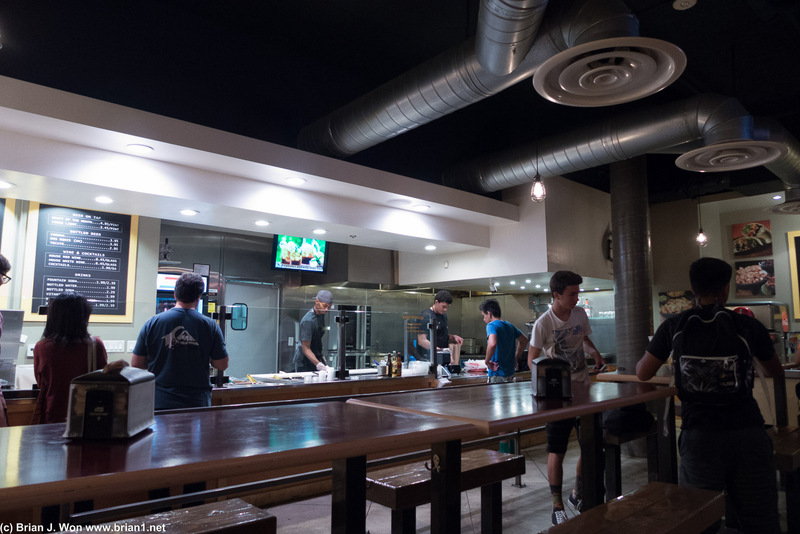 Not a bad place for affordable food and to watch the game, but aside from that, meh.